The line-up launches a series of events highlighting the music and art that followed WW1, laying the foundation for the first nightclubs and the growth of jazz, avant garde and electronic music in Europe. Get Tickets to LAUNCH PARTY HERE. 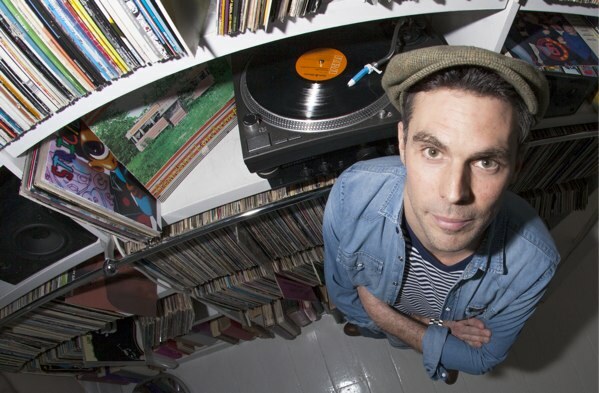 Organised by Noise of Art (UK), Move Assoc (CZ) , Instituti Moderni Hudby and Stichting Nederlandse Muziek Export (NL), the series of events is launching with a party headlined by a DJ set from Tom Findlay, of legendary British dance act Groove Armada. British duo Groove Armada have released eight studio LPs and received three Grammy Awards. This rare Prague appearance will see Tom Findlay play one of his legendary roof-raising DJ sets. Joining him is DJ Ben Osborne, award-winning creative producer, writer and founder of Noise of Art. Also headlining on the night is celebrated Italian house producer Angelo Ferreri, who was awarded Jackin’ House DJ of 2017 by Traxsource, plus very special guest DJs Trava and Risto and, from French Guyana, Pat Heart – who are joined by the acclaimed CHU? ŽÍT residents Telly Savalas, Smeghouse and Skeledan. Tonight launches over a month of events marking the birth of modern nightclub culture and the social and artistic legacy of the creative movements that flourished after World War One – includig the launch of Nosie of Art’s Black Monmartre show. Events run from 29 September to the closing party, with Booka Shade, on 2 December. More event details to be announced here soon.